There’s a bit of India in Russian life, although not everyone may entirely know of the strong Indian connection. Diplomats and decision-makers in Russia and India are trying their best to increase bilateral trade between the two countries, with a great deal of importance being given to increase Indian exports to Russia. There is actually a strong Indian heritage that covers many aspects of Russian life. Here are five Indian origin products or systems that have enriched life in Russia. The game of chess, which has its origins in 6th century AD India, went on a long journey from the country through Persia and into Southern Europe before setting up shop in Russia. The earliest precursor to chess was called chaturanga and had essential features found in all later chess variations: different pieces having different powers and victory depending on the fate of the most important piece. 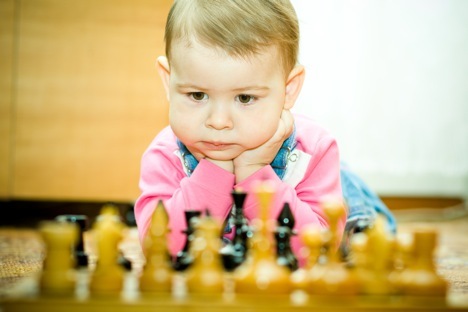 Since chess came to Russia, there has been no looking back. The heyday of Russian dominance in chess was during the Soviet era. It would only be fair to say that there were many non-ethnic Russian chess greats in the USSR. Although Viswanathan Anand is ranked higher than any Russian grandmaster in the world, Russia still remains a power in the game, having 24 out of the top 100 ranked chess players. Russian cuisine may be devoid of the melange of spices that are part of a meal in different parts of India, but there is 1 ingredient that can trace its origins back to India. Black pepper is a native of southern India. Every year, Russia imports more than 3000 tonnes of black pepper from India and the spice is used in all kinds of Russian preparations, especially in soups. It’s hard to imagine a Russian meal without peppercorns. Many vodka lovers could swear by Pertsovka, which has contains infused black peppers. Here’s something that more people (not just Russians) should know: The health benefits of black pepper include relief from a host of illnesses such as coughs, the common cold, respiratory disorders, indigestion, impotency, muscular strains and dental disease. From a time when Konstantin Stanislavsky made it compulsory in his studios to the days of Soviet suspicion to the present, where the Indian physical, mental and spiritual disciplines have had a varying degree of acceptance in the country. Yoga centres can be found across the length and breadth of Russia, with Prime Minister Dmitry Medvedev being counting among the serious yoga practitioners in the country. Many beginners insist on having teachers who have trained in India and this comes with a great premium. If an enterprising Indian is an expert yoga practitioner and can make the effort to learn Russian, there are huge opportunities in places like Moscow. Although the beverage’s origins can be traced to China, Russia has traditionally been a black tea drinking country. In the heyday of Indo-Soviet friendship, most households across the USSR largely drank Indian tea, which was considered of much better quality than tea grown in places like Georgia. Then came the days when Sri Lanka and other countries took over the market. India tea, though, has made a great comeback in Russia. The country now imports 41 million kgs of bulk tea from India, which is about 25 percent of Indian tea exports. Traditional meals in Russia are incomplete without a cup of good black tea. Indian tea is still a great gift to give a Russian family when visiting. Of course, the branded teas are available in the country, so to impress a Russian host, one has to take good quality tea Assam, Nilgiri or Darjeeling tea leaves. Russian and many Indian languages share the word for tea (chai). Although a vast majority of people in Russia are followers of the country’s Orthodox Christian Church, there is a visible Buddhist minority in the country. The religion made its way to Russia from India through Tibet. Unofficial figures put the number of Buddhists in Russia at around 2 million. The internal republics of Buryatia and Kalmykia have Buddhist majorities. There is also a growing number of ethnic Russian neo-Buddhists in cities like Moscow and St Petersburg. Many Russian Buddhists visit India for pilgrimages, covering places like Sarnath and Bodh Gaya. Leo Tolstoy was fascinated with the religion and wrote extensively about it and many believe his latter work was influenced by Buddhism. In fact, the writer became a champion of nonviolence, vegetarianism and simple living, and in turn inspired Mahatma Gandhi. Buddhism spread westwards from Russia. Fyodor Shcherbatskoy, a noted Russian Indologist laid the foundations in Europe for the academic study of Buddhism. For those wondering why I haven’t written about Sanskrit and how it has enriched the Russian language, I have to confess that I am just not an expert on the ancient Indian language. Learning it and reading ancient Vedic texts in the original language is very much a priority for me.